Hi there! Thanks for visiting! We’d LOVE for you to hang around! 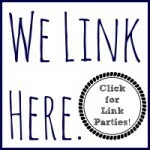 Like us on facebook, subscribe by email, or follow us on pinterest to be sure you don’t miss an update. 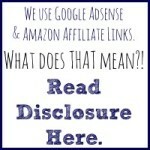 For your convenience, this post contains affiliate links to amazon. Our oldest flew for the first time on her one month birthday. 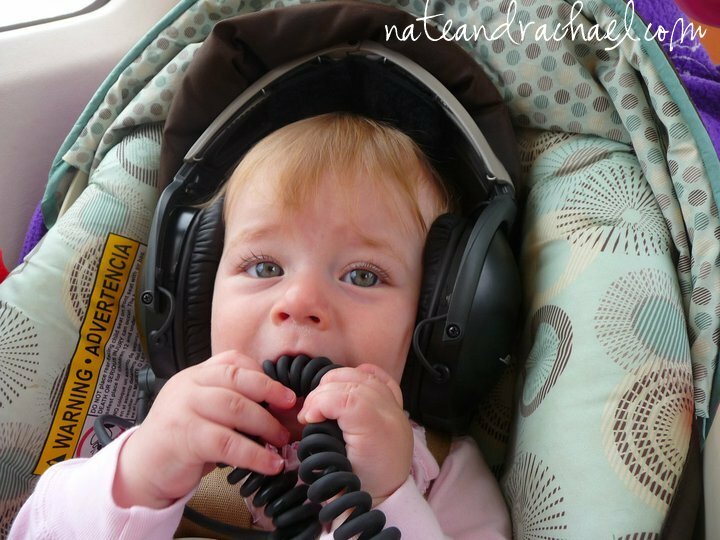 She wore a noise-cancelling headset and slept soundly in her car seat in the back of a small, four-seat plane while her daddy flew us to Ohio for a short business trip. While this first encounter with an airplane may be unique, children need not have a pilot for a papa to learn to love flying. 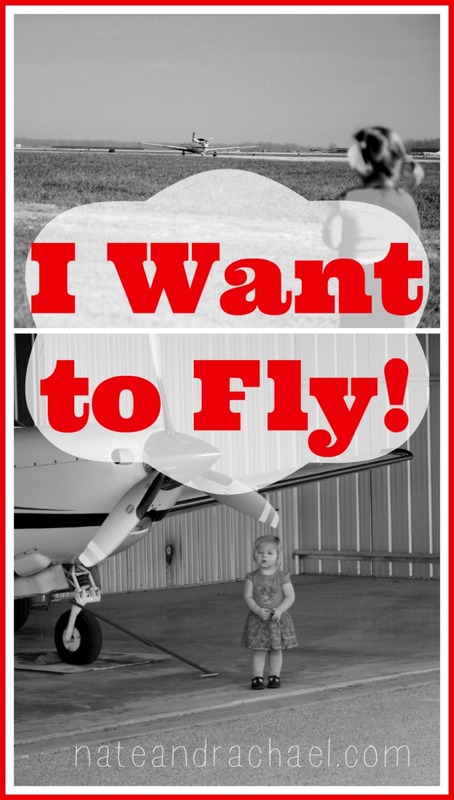 Here are a few ways you can encourage your child’s fascination with flight, fuel her dreams of becoming a pilot, and/or deepen his love for airplanes. A round-trip ticket is not the only way to see real airplanes. We live in a relatively small town in rural Indiana. Yet we have two tiny airports. 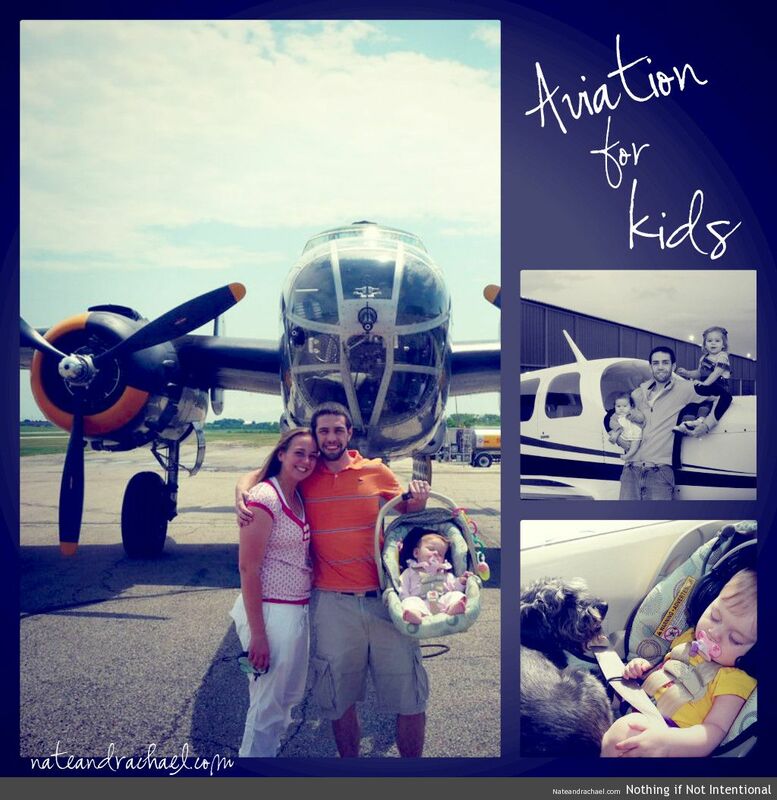 For families interested in a casual visit to an airport, smaller airports are perfect! Neither of our airports have gate agents, expensive parking procedures, or busy terminals. However, the larger of our two airports does have a small restaurant that is open to the public. It’s the perfect place to watch airplanes come and go. Also, if you call and ask nicely, you may be able to sit inside the airport (or FBO—Fixed Base Operator) and watch planes taxi or see the linemen refuel the planes. Our little airport has also been known to host spectacular air shows (a must for a child who loves planes!) and invite the public to visit and tour during an open house. Look up! Our two-year-old is a fantastic airplane and helicopter spotter. She is often the first to hear and see a plane, and she knows that contrails mean an airplane was or is nearby. She’s also increasingly aware of the weather. The other day she said, “It snow. Daddy no fly today.” She’s right—a pilot’s flight schedule is always weather-dependent. Teach your toddler to recognize days that are good for flying and days when weather conditions might lead to canceled flights. When you’re staring up at the clouds, talk about how different clouds make flights bumpy. On a different day, you can talk about how fog makes it hard for pilots to navigate by sight. I’ll admit it—I think pilots are cool. But they’re not the only aviation-related career choice. If your child loves airplanes, consider teaching him or her about some of the other plane-related jobs. Nate had a double major. One side was the “professional pilot” side. The other was aviation management. His management degree could have helped him to land a job managing an airport or perhaps selling airplanes. Other career options include aeronautical engineering, aviation mechanics, or air traffic control. What does that mean to a toddler? Well, air traffic controllers get to talk on the radio. (What toddler or preschooler doesn’t love playing with walking talkies?) Mechanics have the cool job of fixing planes. Airplane salesmen need to know everything they can about airplanes (so that they can convince others that they should buy them). Preschoolers don’t need textbooks, thick dictionaries, or equations (no thanks!) to see the basics of aerodynamics. Kites and paper airplanes effortlessly expose kids to concepts like gravity, lift, drag, and airflow. Even something as simple as a balloon can be used to show the effect of wind on things that fly. Play. Our daughter is surrounded by toy planes and helicopters. Through our playtime, she’s learned to identify things like propellers, wings, and the tail. She also likes to wear headphones and pretend she’s flying the airplane like daddy. She often tells us, “Daddy wear headset, loud.” Yep, Daddy wears a headset because it’s loud! (And also because that’s how he talks to his passengers and to other pilots.) For older kids, a toy plane can also be used to talk about ideas like pitch, yaw, and roll (you may have to do a little research of your own first). Buttons, keyboards, and wheels can be used to make a great, pretend in-home flight simulator! Read. Nate studied aviation; I studied English literature. Naturally, we read airplane books. One of our all-time favorite books is Richard Scarry’s A Day at the Airport. (Bonus: it’s a bargain!) We also have several plane-related board books that we’ve collected over the years. One we continue to enjoy is this “Going Places” board book. A good book to prepare kids for their first flight is My First Trip on an Airplane. Our daughter’s other dream? To be a meteorologist! You can encourage your child’s love of the skies and weather through a trip to the news station. Read about our awesome field trip to the news station here. Airplanes aren’t the only big machine our daughter loves! 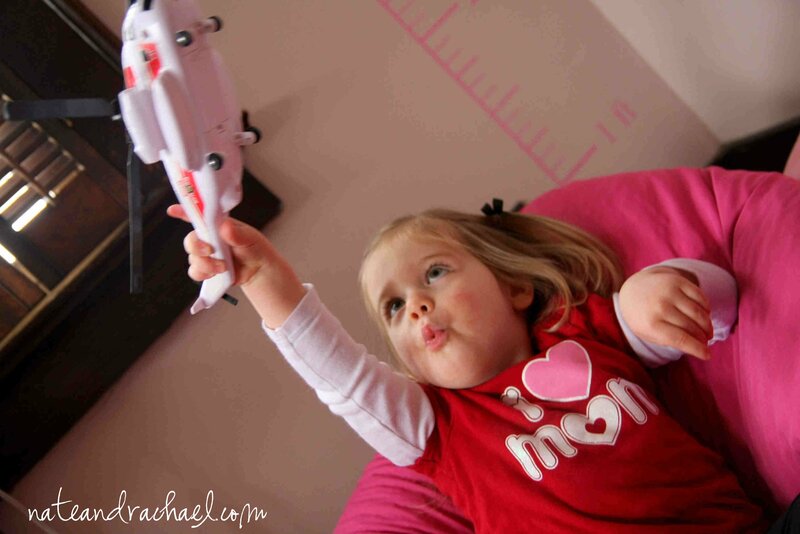 Check out how we encourage her to love other “boy” toys in one of my favorite guest posts. 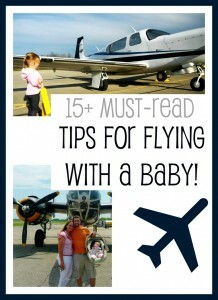 And if and when you actually fly with your baby, you’ll definitely want to read these tips. Had you heard about the airplane water? Gross! ← Healthy Banana Oatmeal Muffins-No flour or oil! My dad and brother are pilots, and I can’t wait to send them this post:). Thanks for sharing! After traveling 3 times in a month, my (almost) 2 year old loves airplanes! He definitely hears them before the rest of us! The Byron Barton book “Airport” is his favorite right now, but I am looking forward to checking out some of the others. He also loves his Little People airplane! I will have to learn about the terms you listed to help him learn more! Thanks for this post!